Salicylic acid is one kind of monohydroxybenzoic acid, and it is widely known for its usage as a key element in anti-acne products. It is a great treatment for those who suffer from different forms of acne. Unfortunately, acne can affect everyone, regardless of their age, which is why it is important to be prepared. Products based on Salicylic Acid are perfect for unclogging your pores and reduce the inflammation caused by different forms of acne. We can see many types of face washes with salicylic acid that are obtainable now in the marketplace. But how to choose the best product based on Salicylic Acid and what are the most popular ones on the market? You will find all you need to know in this shopping guide so keep reading. Mario Badescu is one of the best facial cleansers based on Salicylic Acid. It is used successfully to prevent and treat different forms of acne, and it is very efficient in doing so. You will find it at budget-friendly prices and with very good recommendations which is why you should consider this product. Mario Badescu is also made of an important concentration of Aloe Vera and chamomile, both being very important for the health of your skin. Once you start using this product, you will notice that your skin becomes softer and healthier in a matter of days. Some users will notice changes from the first time applying it. It is perfect to treat inflamed skin and reduce pimples and blackheads for perfect results apply it on wet skin by massaging it in a circular motion. Allow it to take action for up to 2 minutes and rinse it. Kaya Skin Clinic Acne Free Purifying Cleanser has its main qualities right in its name. It clears your skin of acne and protects it against future breakouts so you will have a healthy and smooth face without worrying. All your eruptions will disappear from your skin, and you will gain the confidence that seemed lost as soon as you start this treatment. Kaya Skin Clinic cleans your pores by removing the excess of oil as well which will establish the natural oily level of your skin and reduce pimples and blackheads. Also, you will lose that shiny look what happens when you have very oily skin. By following the treatment with Kaya, you will get in control of your skin and even look younger and more beautiful. This product comes at a friendly price, and dermatologists from all over the world recommend it. Not only women face the problem of acne, but also men struggle with it at different ages. For them, Neutrogena created this skin care solution based on Salicylic Acid that is for daily use. By following the instructions of this product and using I on a regular basis, your acne will magically disappear. And if you keep at it, you will not suffer from further eruptions either which is another important effect of a high-quality skin care product. This is a non-comedogenic cream and has the benefit of eliminating the excess of oil that might clog up the pores and give an unpleasant look to your skin. To obtain maximum results apply it with your wet hands and massage your skin until the layer of this cream is entirely absorbed. When you are done, rinse your face with warm water. The best time to use this cream is in the evening before going to bed. 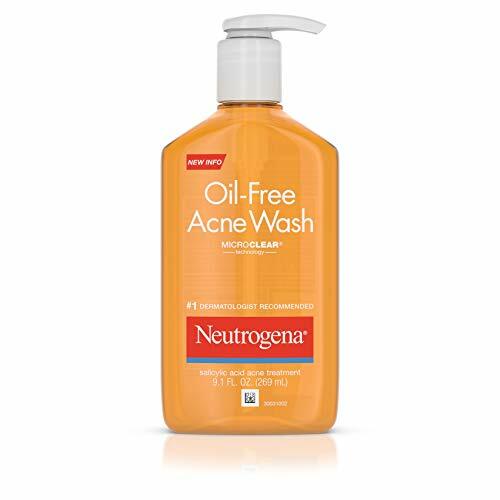 Another option for treating different levels of acne is this Neutrogena face wash based as well on Salicylic Acid. This product contains no oil which is why you can use it even if you have oily skin. Because it is oil-free is recommended for people with excessive oil on their face because it reduces this factor and leaves your skin clean and soft. You will notice results after the first time you use it, and you will want to keep using it because it brings a lot of benefits to your skin. Salicylic Acid is in the concentration o 2 percent which is ideal for treating a variety of types of acne. 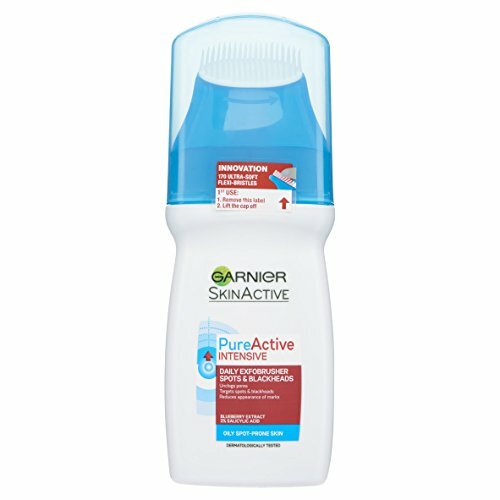 It is recommended not to use this product with other topical acne treatment because it may cause dryness and irritation. But by itself, it does a great job on keeping the acne away so you will not need anything else. Replenix Acne Solution offers an exfoliating acne cleanser based on Salicylic Acid and very efficient. However, this is not a strong scrub, and it will not irritate your skin so you can use it without having such concerns. It is perfect for reducing the oil that can be found on our face and treat acne eruptions in a matter of days. Also, this product will help you keep further skin problem away, so it is a long-term solution against acne and breakouts of different levels. It is perfect for sensitive skin because it is soft and doesn’t come with any side effects which mean that it has very reduced risk factors. This is a great product for normal as well as oily skin types, and it shows results that will completely change the way your skin looks like. Use it constantly for healthier and more beautiful skin! 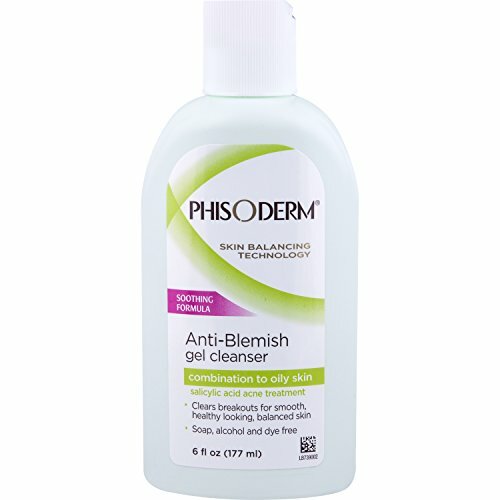 Another gel cleanser that contains Salicylic Acid is this Phisoderm product. It contains 2 percent Salicylic Acid, and it is one of the main products recommended by dermatologists to patients with severe acne. After using it, your skin will look smoother and healthier, and you will not have those unpleasant breakouts. It doesn’t contain alcohol or soap, and it is completely dyed free as well as oil free. Because of this, Phisoerm is a great product for all types of skin, but especially if you have an oily skin. You can purchase it in one or two packs and enjoy it for a long time as it comes in generous bottles. 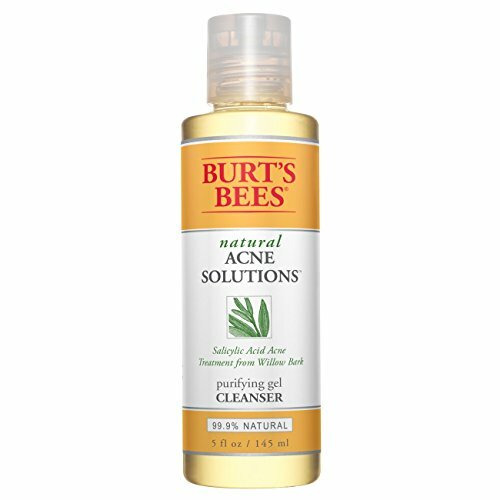 This is a budget-friendly product, and it is extremely easy to use as all you do is apply it on your clean face on a daily basis. You should ask your doctor if you want to use this product in combination with other acne treatment just to make sure that you will have no side effects. 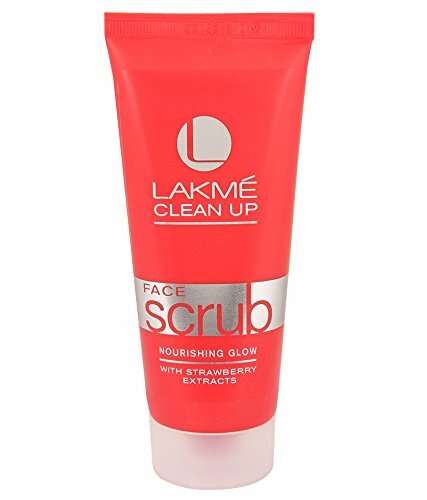 This Lakme acne cleanser is more than a great treatment for your acne eruptions as it comes with a great strawberry smell that you will fall in love with. This is a very popular and appreciated Indian cosmetic company, and you will not regret trying it out. By using this anti-acne cream, you will also nourish your skin and make sure that it is moisturized enough to remain acne free. It is a face scrub that is very efficient even from the first time you use it. However, if you want long lasting results, you should keep using it as it has the property to prevent future breakouts as well. The strawberry extracts add just enough exfoliating features to remove dead cells and eliminate pimples blackheads delicately. Your face skin will gain its natural beauty, and it will look fresher and younger as well. 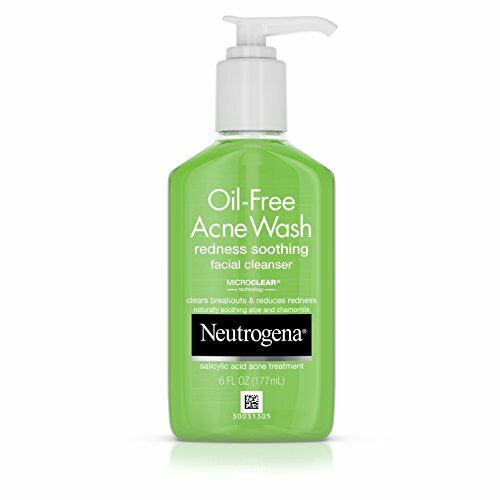 Another Neutrogena solution to get rid of your acne eruptions is this oil-free pore cleansing cream. It contains Salicylic Acid but also pink grapefruit to nourish your skin the best way possible. You will see incredible results in as soon as a week once you start using this product. It also contains a significant amount of Vitamin C which is essential for healthy skin. These ingredients work together to reduce the oily aspect of your skin as well and increase your natural smoothness. This is one of the main products recommended by dermatologists when it comes to majority forms of acne, and it shows results that last over time. If your skin is prone to develop acne breakouts, this cream will help you be one step ahead and avoid such reactions before it is too late. And it comes at a very budget-friendly price, so it is an investment worth making! If you are looking for a professional skin treatment to eliminate the unpleasant effects of acne, this product is exactly what you need. Besides, Salicylic Acid which can do miracles in acne treatment, this cream also contains tea tree oil and green tea extract, both very efficient and beneficial for your skin. Tea tree will eliminate the bacteria that encourage the appearance of acne and leave your skin clean and soft. Also, the green tea extract is a great antioxidant with fabulous results when it comes to keeping your skin acne free. This is FDA approved and very reliable as most dermatologists are supportive of it as well. Make sure you ask your doctor if you are considering using this along with other anti-acne products so you can avoid certain side effects such as dryness or local irritability. This high-quality anti-acne cream can make a real difference for your skin! Garnier is one of the most popular skin care companies, and you know you get a high-quality product when it comes from this brand. It eliminates blemishes and is very efficient when it comes to different types of skin that are prone to develop acne. It is also antibacterial which makes it very useful when you want to enjoy a clean skin in just a matter of minutes. Dermatologists test this product, and it is known to be safe to use for all types of skin. It also reduces the level of oil and cleans your skin deeply by eliminating bacteria. If you want clear and healthy skin, this might be the right treatment for you. Also, the price is a budget-friendly one, and the product comes in a generous bottle of 150 ml. Incorporate this into your daily routine, and you will see the difference in a very short time! 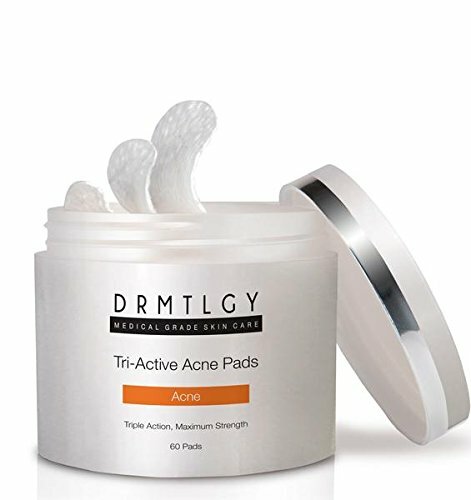 DRMTLGY is an innovative acne treatment recommended by over 2000 dermatologists which makes it very reliable. Each pad will have a direct effect on your skin by reducing the pimples you already have and cleaning your pores, so they don’t get clogged. They also refresh your skin and make sure that it is hydrated enough so you won’t need to use moisturizer afterward. The pads contain Salicylic acid, Glycolic acid, as well as Lactic acid, all beneficial in treating different forms of acne. By using this product, you avoid effects like irritation and inflammation, and you enjoy healthier skin for a longer time. Thanks to its fast and beneficial effects, this is one of the most appreciated anti-acne products available on the market. And it comes at an efficient price as well so you won’t have to spend a fortune to enjoy its advantages. This Neutrogena anti-acne treatment is also hypoallergenic which is a great advantage to have for a cream that you should use daily. It is perfect for removing bacteria, the excess of oil and even makeup thanks to the Salicylic acid concentration of 2 percent, which is the maximum allowed by FDA. Dermatologists highly recommend this product as it contains 90 percent natural ingredients. It doesn’t have parabens, artificial fragrances or sulfates which make it safe for all types of skin. Just like other Neutrogena products, this is cream that you can trust and rely on regardless of the type of acne that you might have. It is also very effective in preventing acne from causing eruptions and damaging your skin. And the price is unbeatable, considering the high quality of this product and the recommendations that it comes with. If you have oily skin and you are prone to develop different forms of acne, this Vichy cream is one of the best solutions to choose from. It cleans your pores and eliminates the bacteria which are responsible for generating acne. The skin is gently exfoliated and nourished thanks to the ingredients of this product such as Salicylic Acid, Glycolic Acid, and LHA. It doesn’t just treat the existing acne but also prevents new forms of acne and new breakouts from appearing and affecting your skin. This is a trusted product with very positive reviews from users with all types of skin. However, it is the most efficient for those with oily skin and mild forms of acne. And the price that it comes with is a budget-friendly one which makes it a great investment for the health and beauty of your skin. Try it and enjoy a face without breakouts! 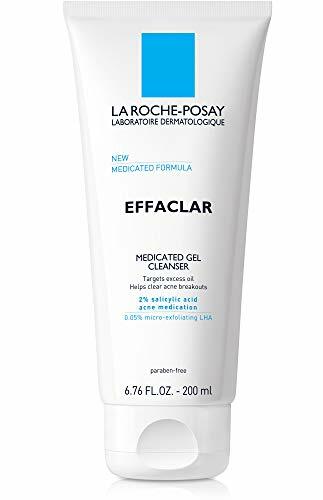 La Roche-Posay is one of those products recommended by dermatologists when it comes to treating different levels of acne. It reduces the level of oil up to 47 percent and hydrates the skin as it cleans it of acne and breakouts. This is a medicated product created to fit dermatologist’s expectations. It contains Salicylic acid and other ingredients meant to protect your skin against acne and nourish your pores deeply. By using this product daily, you will have healthier and smoother skin in just a matter of days. Also, you will make sure that acne will not affect your beauty in the future. Pay tension not to use this with other acne treatment without asking your doctor first. Apply it on clean skin, preferably before bedtime so it gets absorbed and has the time to take action. For best results, you can use it twice a day, in the morning and the evening. 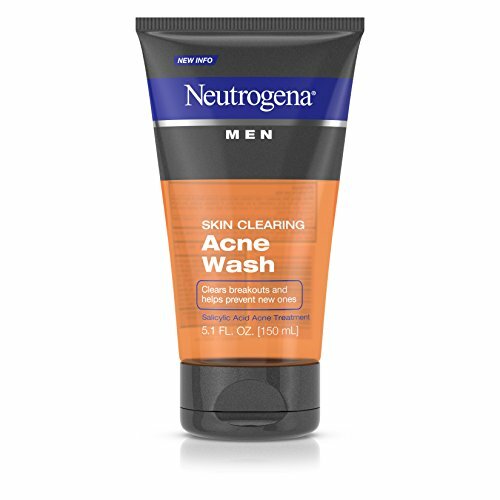 Another Neutrogena anti-acne treatment based on Salicylic acid is this cream that should be used on a daily basis to create the results that you want. Just like other similar creams, it reduces the oil excess and nourishes your pores in a deep and hydrating way. Dermatologists from all over the world recommend it, and you can rely on it for long-term usage. Even better, if you continue using it after your acne is gone, you will prevent further breakouts from affecting your skin. Neutrogena cleansers come at budget-friendly prices, and they cover all types of skin which are why you don’t have to worry about side effects. Try this cream out for a healthier skin in just a few days. Your skin will feel refreshed even after one usage. You will be impressed by the benefits of this product. 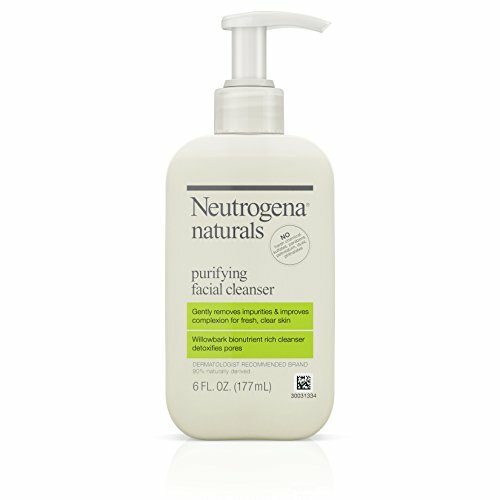 Neutrogena Naturals will clean your pores and add the hydrating effect that healthy skin needs to keep acne away. It comes with natural Salicylic acid in the concentration of 2 percent which is the maximum that you will find in these types of products. The price is very affordable, and you will see the results lasting for a long period. Incorporate this into your beauty routine every evening before bedtime. Dermatologists recommend this treatment to patients with various forms of acne because it doesn’t come with side effects and it is extremely efficient. Plus, Neutrogena is one of the best cosmetic brands worldwide so you can rest assured that this is a high-quality product. By using this cream, your acne will disappear before you even realize it. It contains 90 % natural ingredients, and it has no artificial fragrances! Another high-quality treatment that can take care of all your acne problems is this Iceland Glacial face wash. It should be used on a daily basis to generate the results you want to reach. This product is made of pure Iceland water, and it is famous for cleaning and detoxifying your skin. If you need to have a hydrated skin and to get rid of pimples, this is just what you were looking for. Your irritation will go away as well as the other unpleasant effects of breakouts. And pimples will be history in just a few days after starting this treatment. Use it on clean face and enjoy the benefits as you see your acne disappearing. If you are stressed and have a busy schedule, this cream will compensate for all of it so that your skin will still look as beautiful as it should! This treatment is created exactly to take care of skin that is prone to acne and other skin conditions. 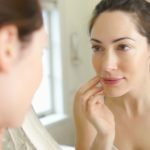 You can rely on it thanks to its high concentration of Salicylic acid and other medications which reduce the level of oil in your skin and nourish it from the outside in. It comes at a great price, and it is made to show results as soon as the first time you are using it. Your skin will look and feel refreshed, and acne will stay away for the long run. This product works great for all types of skin, and it doesn’t generate any side effects. You can rely on it and use it on a daily basis without worries. Check out with your doctor to see what other skin care products you can use simultaneously with this one to avoid unpleasant reactions. But this is a very friendly cream, and it shouldn’t interact with others so thanks to its high quality you can use it without any worries. Burt’s Bees is made of 99.9 percent natural ingredients which makes it not only safe for all types of skin but also very efficient. Various dermatologists tested it, and it eliminates acne by simply being used on a regular basis to wash your face. This product contains no parabens or artificial fragrances, and it will not irritate your skin. It is also good to moisturize your face skin so you won’t have to add another moisturizer cream to your daily beauty routine. The reviews for this product are very positive, and people from all over the world claim that the results become visible in just a matter of days after starting the treatment. By using this product, you will also prevent further skin conditions from developing, which makes it a long-term solution. Dr. Brandt is an appreciated brand when it comes to treating different skin conditions, and acne is one of them for sure. This is an efficient and safe product that you can rely on for a long time as it should be used regularly for best results. It is best known for eliminating impurities and bacteria, leaving your skin clean and healthy. The acne disappears as soon as you start applying this product and it is kept away for long after that. Your pores are being healed and nourished so you can enjoy a smooth and healthy skin again, without any breakouts or irritations. As for the side effects, you don’t have to worry because this is safe to be used for all types of skin. Regain your natural beauty today by using this cream! 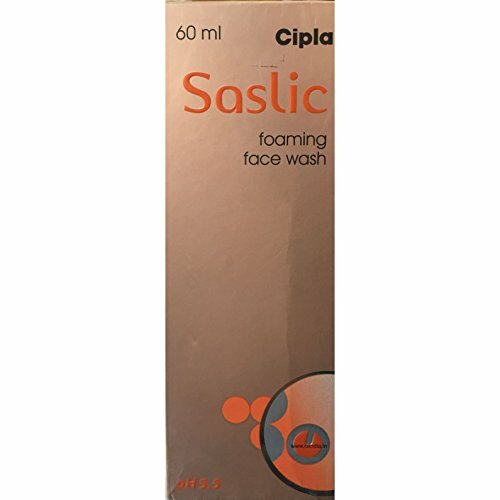 The Saslic foaming face wash gained its popularity thanks to the high quality that it comes in and the efficiency with which it eliminates acne. It contains Salicylic acid, and it is recommended by dermatologists to treat acne, even in its most severe cases. Also, your skin will look better, younger and smoother after only one use of this product. It can even treat acne vulgaris, and your dermatologist will let you know just how to use it to obtain maximum benefits from it. This product unclogs pores and maintains them clean and nourished for the entire period of the treatment. Keep using it even after your acne is history if you want to prevent further breakouts from appearing! Here are the main aspects to keep in mind when you are shopping for the best Salicylic Acid Face Washes. Skin type: Try to choose a product suitable for all skin types or exactly for the skin type that you have. If you are not sure to get one made for normal or oily skin as this is the most prone to develop acne. Ingredients: The best face products should be made of natural ingredients. Try to choose one without parabens or artificial fragrances. Besides Salicylic acid, a good anti-acne treatment should contain ingredients like Aloe Vera or green tea. Price: You will most likely use this product for several months on a daily basis. This is why it is important to choose one that is within your budget because once you start using it, you should continue the treatment for several weeks. It healthily exfoliates your skin so that dead cells are eliminated, and pores are unclogged. It is one of the main ingredients that you need when you want to fight different forms of acne. It eliminates scars and blemishes, leaving your skin soft and healthy. If your pores are clogged, salicylic acid opens them up and maintains them clean without allowing pimples or blackheads to appear. Salicylic acid reduces oily skin and balances out the level of oil in your face skin to maintain a healthy surface. Reduces the inflammation of the skin after only one use and delays the natural aging effect. If you have warts, salicylic acid will dissolve them and leave your skin healthy and as beautiful as nature intended it to be. You can take the blackheads out a lot easier after applying a product based on salicylic acid because it loosens the pores. It nourishes your skin from outside in and offers it the hydrating level that it needs to regain its health. Salicylic acid is efficient and shows results in as soon as a couple of days so you will not have to wait months to see its effects. Apply a product that contains salicylic acid according to the instructions that it came with or the recommendations of your doctor. However, as a general rule, such products should be applied on a clean face, either once or twice a day, preferably before bedtime if you do it once in 24 hours. Allow your skin to absorb the cream and rinse it gently with warm water. If you need, use a moisturizer to nourish your skin at the end of the process. It depends on how oily or dry your skin is and your dermatologist can recommend you the best one for your needs. While all the products above are of very high quality, the Salicylic Deep Gel Exfoliating Cleanser is one of the best when it comes to treating different forms of acne. Because it is a professional product, you will see the most impressive results with this one and in a short period. It contains the maximum concentration of salicylic acid allowed by the FDA standards and several other ingredients that can heal severe forms of acne. Also, dermatologists from all over the world recommend this product for all its qualities. We also have a nifty guide which can help you find the best foundation for acne prone skin. This is something to try out if you want a smooth and healthy skin in just a few days! Last but not least; if you’re pleased with this article, share it with your companions and comment in the box below.